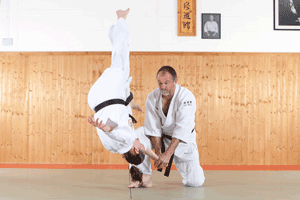 Mick is the chief instructor at the Preston Dojo and holds the nationally recognised Coach Level 1 qualification with the British Aikido Board. He has studied Aikido for over 25 years and has trained all over the world with some of the best Yoshinkan Aikido teachers around. Jayne has been training for over 10 years and holds the BAB Coach Level 1 qualification. She is a full time instructor at the dojo and also has a degree in sports coaching, a masters in sport and PE and a PGCE qualification. 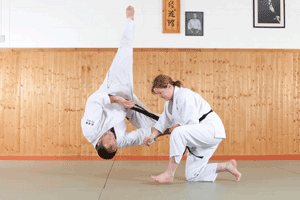 Jayne has travelled as far as Canada in order to train with some of the highest ranking Aikido teachers in the world.